Congratulations on your acceptance into the Early Introduction to Health Careers II (EIH 2) pipeline program at the Western Michigan University Homer Stryker, M.D. School of Medicine (WMed). Working closely with first and second year medical students, faculty and health care professionals in a supportive, team based environment, this program will bolster your science skills while introducing you to a wide variety of health care careers. Focus will also be given to developing leadership, public speaking and interpersonal skills. Please visit this web page frequently as we will post updates, student assignments and other information you will need to prepare for each session. Attendance at each session is mandatory. If you anticipate an absence due to illness or family emergency, please email dawn.deluca@med.wmich.edu as soon as possible. The 2019 EIH 2 Summer Camp will be held from June 17 to June 28. The EIH 2 summer camp is a two-week program done in partnership with Kalamazoo College. Any student who was enrolled in the Saturday Academy program is encouraged to apply for one of the 24 summer camp spots. Students must be committed to attending both full weeks. 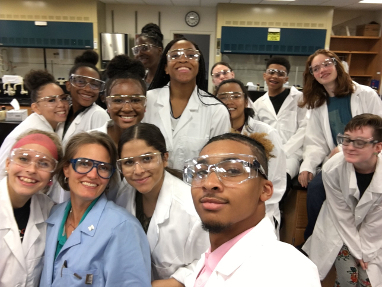 Students will conduct biochemistry research under the direction of Dr. Regina Truss, Professor of Chemistry at Kalamazoo College. The EIH 2 Summer Camp is made possible through a partnership between WMed and Kalamazoo College. 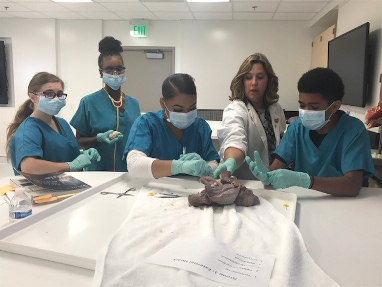 Students will engage in interactive anatomy lessons led by WMed faculty and staff and have the opportunity to learn CPR and test to obtain certification. Part of this week will also be spent with Stryker engineers to explore how engineering and medicine integrate to improve patient outcomes. Develop a more in-depth understanding of cardiac and pulmonary systems by exploring and labeling specimens.